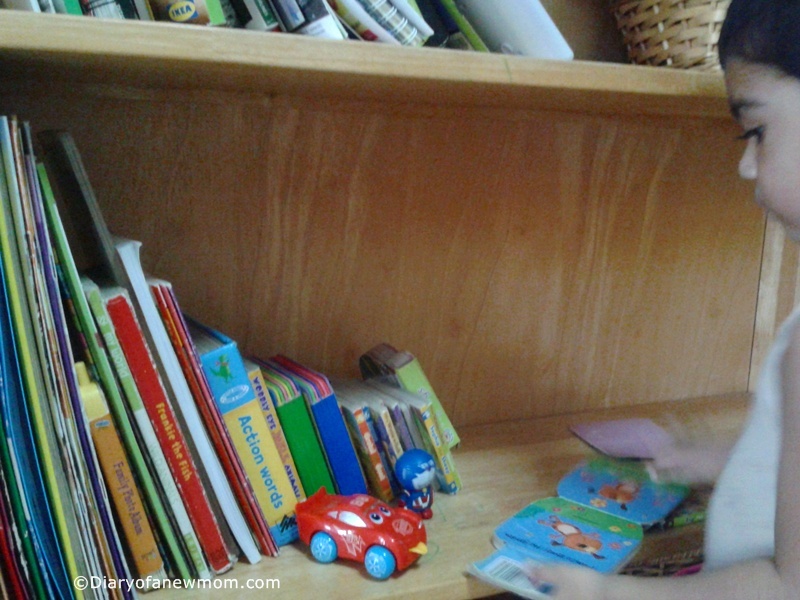 A reading corner is a great place for any toddler to spend time on his own by reading books alone. Our son has a specific place to keep his books, but he didn’t have a specific place to read. We read books together in bedroom, on the sofa or even sitting on the floor. Now, as a toddler he showed interest in looking at the books alone. I heard he was creating stories around the illustrations of the books. 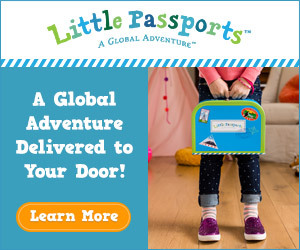 So, isn’t this the right time to create a separate space for him to read books? I thought that would be interesting if I create a reading corner for him. A reading corner would be a great place which encourages a toddler to read books. I was right. He was so excited when I was creating a special place for him to read. Anyway, I didn’t do any fancy design change for his kids room. Instead I did some changes in the arrangement for his nursery room. Actually when he turned 1 year old, we didn’t use his nursery room much. 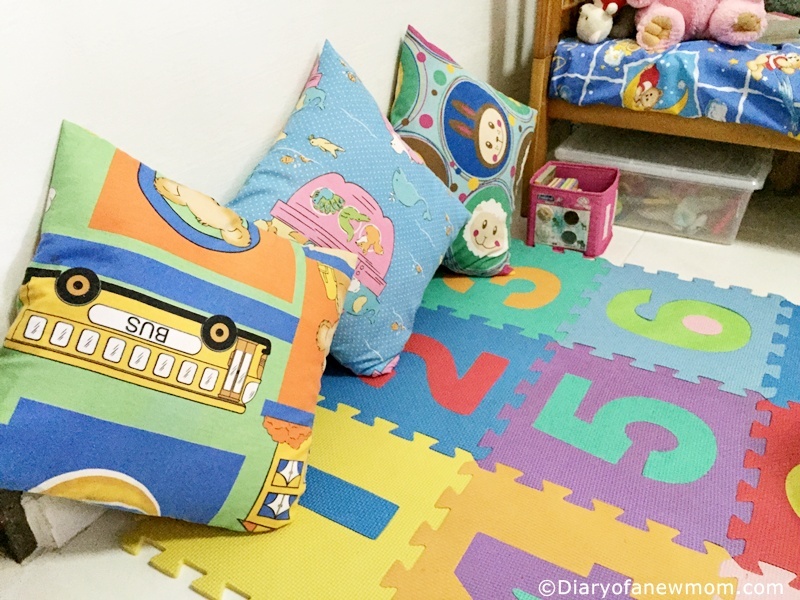 When he turned 2 years old, I started changing his baby nursery room into a kids play room. So, this reading corner is one of the projects we carried out on our way creating a kids room for him. This is a pretty simple idea. 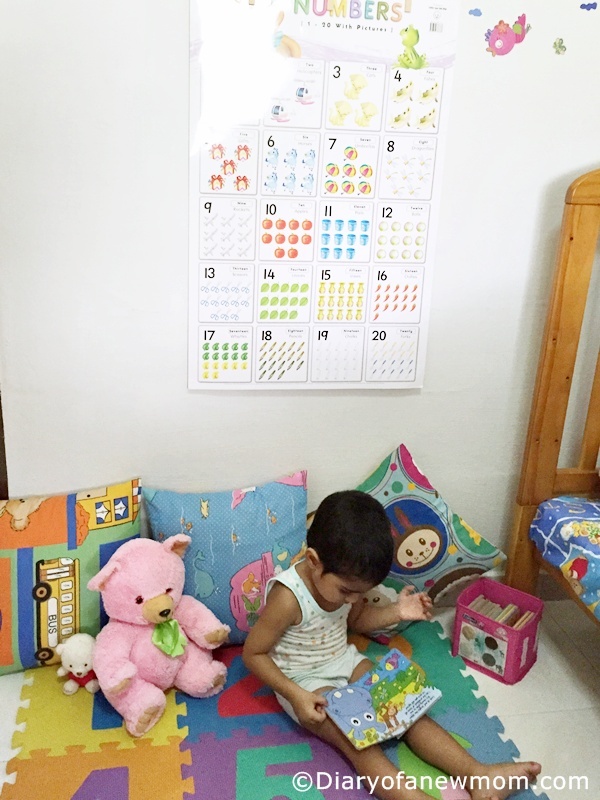 I used his foam play mat for the reading corner. Previously we used this play mat to keep him sitting and playing. But now as a toddler, he runs around the home and he doesn’t use the play mat much. Instead he likes to use a table for most of his activities.So, this reading area is a great way for us to re-purpose foam play mat. I bought 3 new pillow cases which are colorful and with kids friendly animal character prints on it. 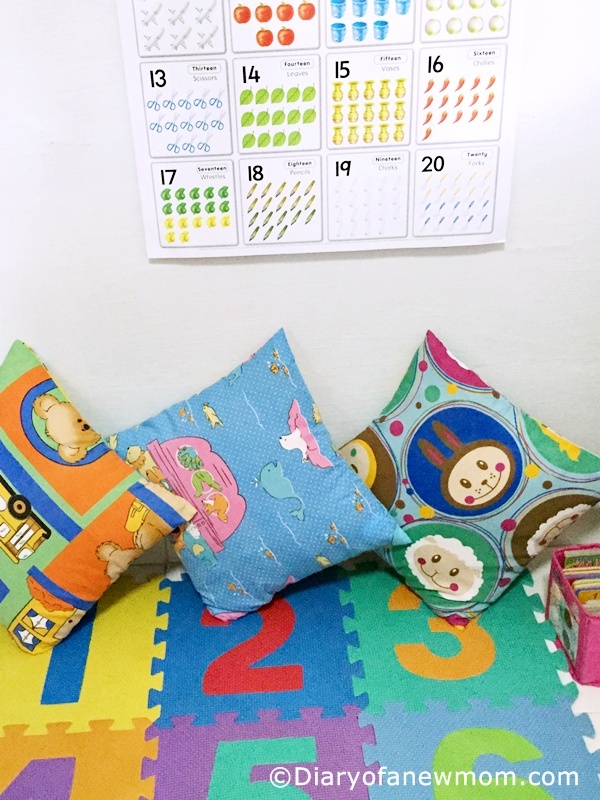 My son loved those pillow cases and I used some pillow inserts to make kids friendly cushions.So those are his cushions in the new reading corner. I also bought a wall display with numbers to decorate the wall. So, he can learn counting too. Instead of creating a space for keeping all his books, I only kept a small box with few books. So, I can rotate the books. If he wants, he can always take books from his usual book shelf. Once I created this reading corner, my son was really happy. Now it is around 3 months after I making a separate space for him. Still he loves the place and he reads books and even asks me to read books there with him.